If you know me even a little or have been reading this blog for more than half a second, you probably know that I love to make things from scratch. Part of it is the sense of adventure in the undertaking, part of it the feeling of accomplishment when it’s done. Ultimately, it’s about the eating: fresh and homemade always tastes so much better. Since making ricotta a couple years ago, I can’t help but feel mildly offended by the flavorless, chalky storebought tubs, canned beans taste as much of the can to me as they do of beans, and the mere thought of bottled salad dressing turns my stomach. Not that there is inherently anything wrong with purchasing prepared versions of these and other things—and I do for the sake of convenience from time to time—it’s just that, once you know what something can (and is arguably supposed to) taste like, it’s hard to go back. So it would stand to reason that I would be up for, eager, maybe even experienced in making homemade ice cream. Right? Well…. 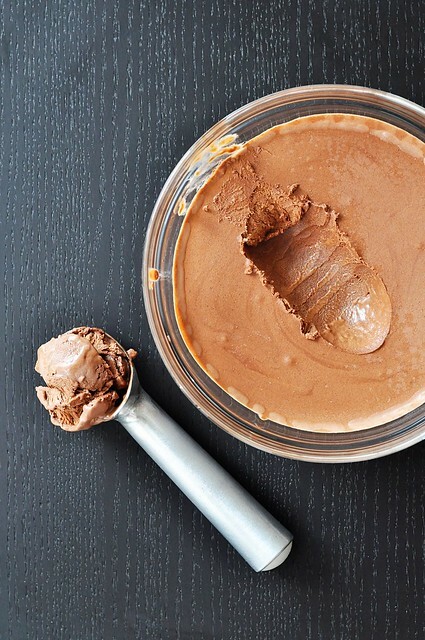 The truth of it is that I’ve never made homemade ice cream and I don’t have any immediate—or distant—plans to do so. It’s just not one of those things that appeals to me, and I’m not totally sure why. It may have something to do with the whole “NYC apartment living” thing and not wanting to add a single use appliance to a small kitchen already stocked to the brim. Or maybe it’s some sort of emergency failsafe that my brain created to prevent me from taking on another culinary project, and one with so many possibilities that I’d likely never resurface after diving in. Other people in my life make homemade ice cream, though. That’s good enough for me. Last month’s issue of Bon Appetit not only gifted me with that lovely olive oil cake, but it also introduced me to the wonder that is semifreddo. Semifreddo is Italian for “half cold,” as well as “rich, creamy frozen decadence that does not require an ice cream maker.” Alright, the second thing isn’t technically a translation, but it’s still true. Semifreddo is almost like a frozen mousse in that it gets its volume from softly whipped cream. Silkier on the tongue than either ice cream or gelato, it feels indulgent. And it doesn’t require any special equipment to prepare. You have to rig a double boiler briefly, but setting a bowl atop a saucepan containing an inch of simmering water is hardly a big deal—and the result is so worth it. I started off by making BA’s pistachio semifreddo, and was slightly amused when Chris reacted exactly as I’d expected upon seeing the pale green stuff set in front of him. Don’t get me wrong, he loved it, but I knew before I even made it that what he really wanted was chocolate. He would always rather have chocolate. What can I say? I married a chocoholic. So, familiar with the method, I set to work on a chocolate version. I decided on a combination of cocoa powder and bittersweet chocolate, with a splash of coffee liquor for depth. 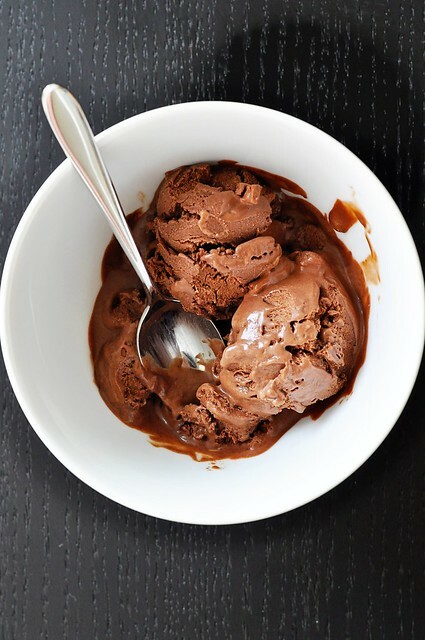 What emerged from the freezer was something so velvety and intensely flavored that a couple small scoops were enough to satisfy even my cocoa-craving husband (this is saying a lot considering he was affectionately nicknamed “the glutton” in college). Even though homemade ice cream may not be my thing, semifreddo most definitely is. I expect I’ll be making many variations on it through the rest of the summer–though always coming back to this one for my dear hubby. 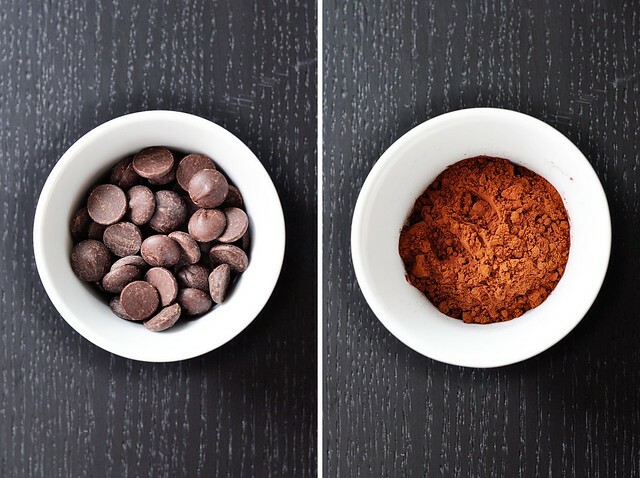 In a small saucepan, stir together the cocoa powder, 2 tablespoons of the sugar, and the milk. Bring to a boil over medium-high heat, stirring frequently to help the cocoa and sugar dissolve. Once it reaches a boil, remove from the heat and add the bittersweet chocolate, stirring to melt. Cover the saucepan and set aside for 15 minutes. 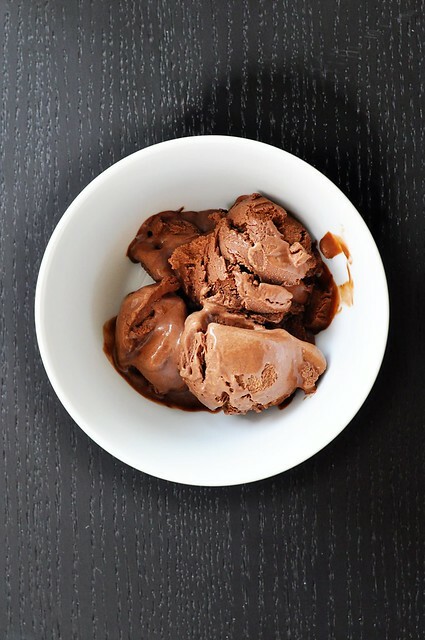 Pour the chocolate milk mixture through a fine mesh sieve set over a medium bowl, pressing any chunks of softened chocolate through and discarding unmelted solids, if any. Stir the vanilla extract and coffee liquor into the chocolate milk. Bring one to two inches of water to a simmer in a small saucepan. Set a folded kitchen towel on the counter to the side of the stove. Whisk the remaining 1/4 cup of sugar, egg, and salt in a metal or heat-safe glass bowl. Set the bowl over the simmering water. Holding one side of the bowl with an oven mitt or towel (it’s will get hot), use your other hand to beat the egg and sugar mixture; this can be done with a whisk or, carefully, with an electric hand mixer. Beat until the mixture is smooth, pale yellow, and increases in volume–about 3 minutes. Remove the bowl to the towel set next to the stove and continue to beat for another 3 minutes, until very thick and cool. Fold into the chocolate base. Whip the heavy cream until soft peaks form. 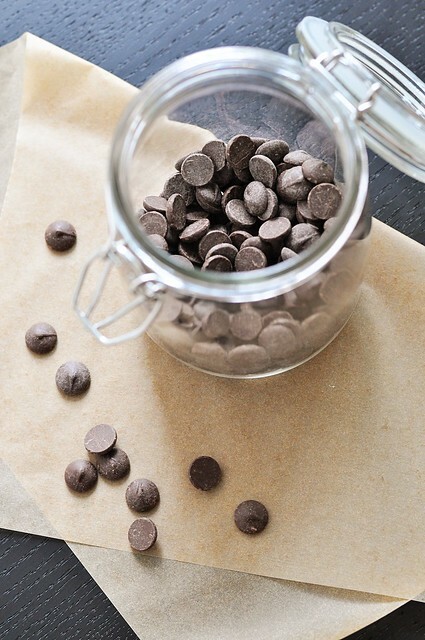 Fold into the chocolate mixture just until combined. 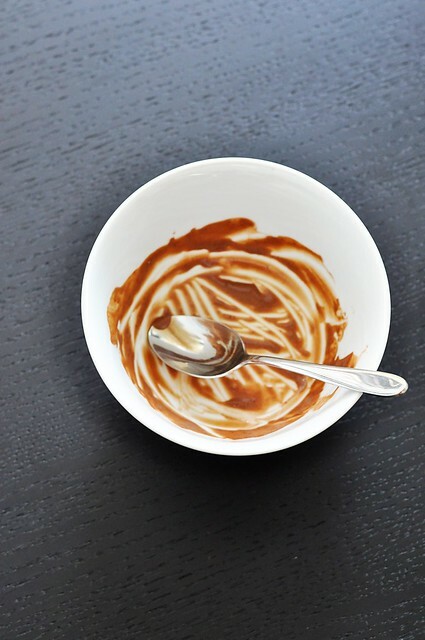 Optionally, pour into a smaller, clean bowl. Cover with plastic wrap and transfer to the freezer to set for at least 4 hours. When ready to serve, allow the semifreddo to sit at room temperature for a minute to soften slightly. Do not keep at room temperature for extended periods of time, however, as semifreddo melts much more quickly than ice cream. Oh, how delicious does this look! Me likey Chocolate!!! Excellent job!!! I added 2 extra tablespoons of cocoa (because i used milk choc chips) and it was beautiful. I felt all my other ice-creams were too sweet, and this was PERFECT. so super creamy and chocolaty! Thankyou i will never need another chocolate ice-cream recipe! Hi! Your semifreddo recipe was nominated as one of the “Best 300 Semifreddo Recipes on the Net”. To vote for it, please visit http://easyitalianrecipes.org/dessert-recipes/best-300-italian-semifreddo-recipes-on-the-net-vote-for-your-favorite/ – your recipe is positioned at #88 (random order).